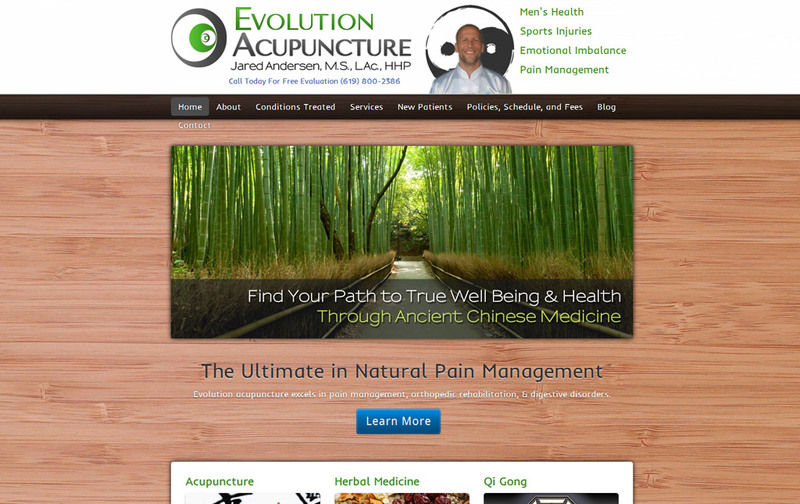 Evolution Acupuncture’s Jared Andersen approached us to have a website designed and created, as well as basic logo design for his San Diego, CA acupuncture practice. We worked with Jared to determine the best design aesthetic for his logo, which was then translated into the website itself. As an established acupuncture and holistic health practice, Evolution Acupuncture needed a way to convey information about their practice regarding their hours, location, treatment types, fees, etc. We utilized the WordPress framework for this project, which enables Jared to keep the website updated as new classes and services are added or changed. 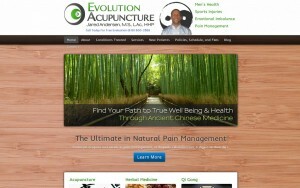 Visitors to the site are able to contact Evolution Acupuncture directly via email or phone, and also have access to a blog area where Jared discusses a variety of health and wellness related topics. We performed basic keyword research during the website development process, providing Evolution Acupuncture with a solid list of blog post terms to target to generate traffic.